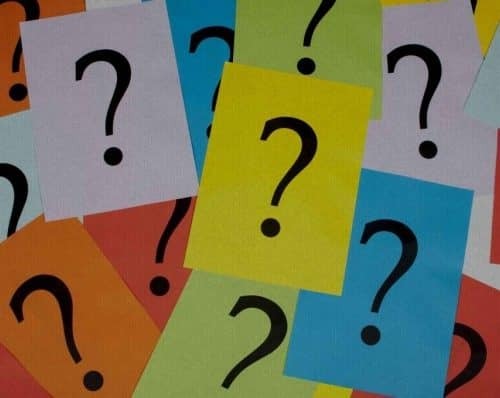 Mother’s Day, Women’s Health Week, Celiac Awareness Month, No Diet Day, and Memorial Day are just some of the many events celebrated during the month of May. But did you know that National Salsa Month also takes place in May. It makes sense with Cinco de Mayo and the start of summer – what’s a party without some chips and salsa?! Salsa is most commonly thought of as a dip, but this flavorful sauce can be used in a variety of ways. Try it as a marinade or topping for fish, chicken, or steak, stirred into scrambled eggs or frittatas, spread on a sandwich in place of mayonnaise or ketchup, mixed with low-fat yogurt for a creamy salad dressing, added to meatloaf or burgers for moistness and flavor, or used as a base for ceviche. 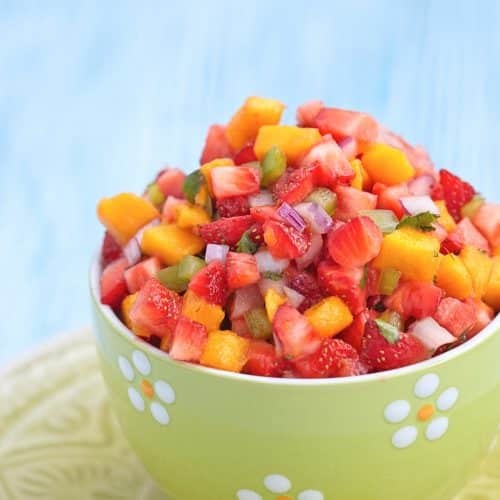 Although traditional salsa is made with tomatoes, onions, chili peppers, and lime juice, you can make salsa using an assortment of fruits and vegetables. Some of my favorite salsas are made with watermelon, berries, beans, avocados, and corn. 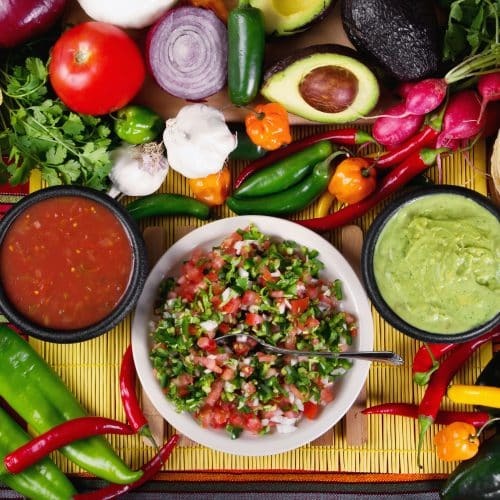 The best part about salsa is that it’s usually low in calories and rich in nutrients thanks to fresh produce and intense flavor from citrus juices. You can even use no-calorie sweeteners like sucralose to make sweet salsa like this Citrus Salsa made with fresh oranges and lime juice. So what are you waiting for? 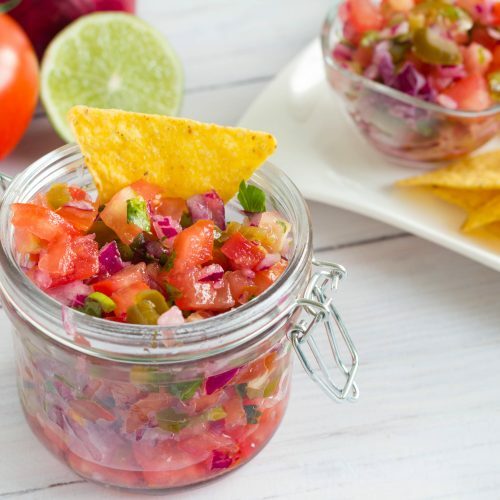 Celebrate National Salsa Month the rest of the month and throughout the summer!